The Minnesota Twins visit U.S. Cellular Field on Thursday, August 24, 2017 to play the Chicago White Sox. The probable starters are Jose Berrios for the Twins and Derek Holland for the White Sox. The opening line for this matchup has Minnesota at -175 and Chicago at +157. The Twins have a 56-60-9 over/under record and a 65-60-0 run line mark. The White Sox are 64-60-0 against the run line and have a 60-59-5 over/under record. The Twins have a 65-60 overall record this season. Starting pitcher Jose Berrios has a 11-5 record with an earned run average of 3.99 and a WHIP of 1.15. He has 95 strikeouts over his 106 innings pitched and he's given up 91 hits. He allows 7.7 hits per 9 innings and he has a FIP of 4. The bullpen has an earned run average of 4.53 and they have given up 445 base hits on the year. Teams are hitting .260 against the bullpen and they've struck out 366 hitters and walked 139 batters. As a team, Minnesota allows 9.4 hits per nine innings while striking out 7.2 batters per nine innings. They are 22nd in the league in team earned run average at 4.69. The Twins pitchers collectively have given up 1,159 base hits and 580 earned runs. They have allowed 181 home runs this season, ranking them 5th in the league. Minnesota as a pitching staff has walked 385 batters and struck out 887. They have walked 3.1 men per 9 innings while striking out 7.2 per 9. They have a team WHIP of 1.39 and their FIP as a unit is 4.85. As a team Minnesota is hitting .256, good for 14th in the league. The Twins hold a .421 team slugging percentage and an on-base percentage of .332, which is good for 10th in baseball. They rank 14th in MLB with 8.8 hits per game. Eddie Rosario is hitting .300 with an on-base percentage of .339. He has 121 hits this season in 404 at bats with 53 runs batted in. He has a slugging percentage of .510 and an OPS+ of 123. 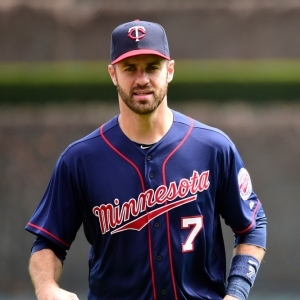 Brian Dozier is hitting .262 this year and he has an on-base percentage of .347. He has totaled 126 hits and he has driven in 71 men in 481 at bats. His OPS+ is 119 while his slugging percentage is at .484. The Twins have 1,095 hits, including 218 doubles and 151 home runs. Minnesota has walked 465 times so far this season and they have struck out 1,041 times as a unit. They have left 898 men on base and have a team OPS of .753. They score 4.78 runs per contest and have scored a total of 598 runs this year. Chicago has a 48-76 overall mark this year. With an earned run average of 6.28, Derek Holland has a 6-13 record and a 1.70 WHIP. He has 94 strikeouts over the 123.1 innings he's pitched. He's also given up 144 hits. He allows 10.5 hits per nine innings and his FIP stands at 6.44. The bullpen has an earned run average of 4.32 and they have given up 392 base hits on the year. Teams are hitting .242 against the White Sox bullpen. Their relievers have struck out 420 batters and walked 191 opposing hitters. As a team, Chicago allows 9 hits per nine innings while striking out 7.8 batters per nine innings. They are 27th in the league in team earned run average at 4.87. The White Sox pitchers as a team have surrendered 1,090 base knocks and 588 earned runs this season. They have given up 191 home runs this year, which ranks 4th in Major League Baseball. Chicago as a staff has walked 494 hitters and struck out 943 batters. They give up a walk 4.1 times per 9 innings while they strike out 7.8 per 9. Their team WHIP is 1.46 while their FIP as a staff is 5.18. As a team, they are batting .256, good for 15th in the league. The White Sox hold a .415 team slugging percentage and an on-base percentage of .313, which is good for 26th in baseball. They rank 16th in MLB with 8.7 hits per contest. Tim Anderson comes into this matchup batting .239 with an OBP of .260. He has 107 hits this year along with 41 RBI in 447 AB's. He maintains a slugging percentage of .385 with an OPS+ of 71. Jose Abreu is hitting .299 this season and he has an OBP of .348. He has collected 148 hits in 495 at bats while driving in 77 runs. He has an OPS+ of 133 and a slugging percentage of .535. The White Sox as a unit have 1,079 base hits, including 194 doubles and 142 homers. Chicago has walked 310 times this year and they have struck out on 1,039 occasions. They have had 804 men left on base and have an OPS of .729. They have scored 4.32 runs per game and totaled 536 runs this season.